Modification: 02-04 Level II Tow hook modification for Body Lift. - First. 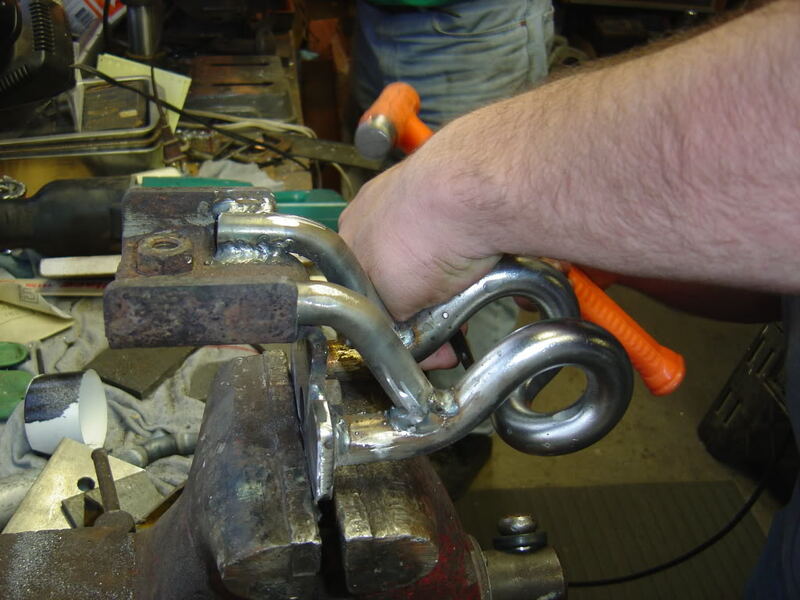 these pictures are from multiple hooks at multiple times never planned on making a how to. 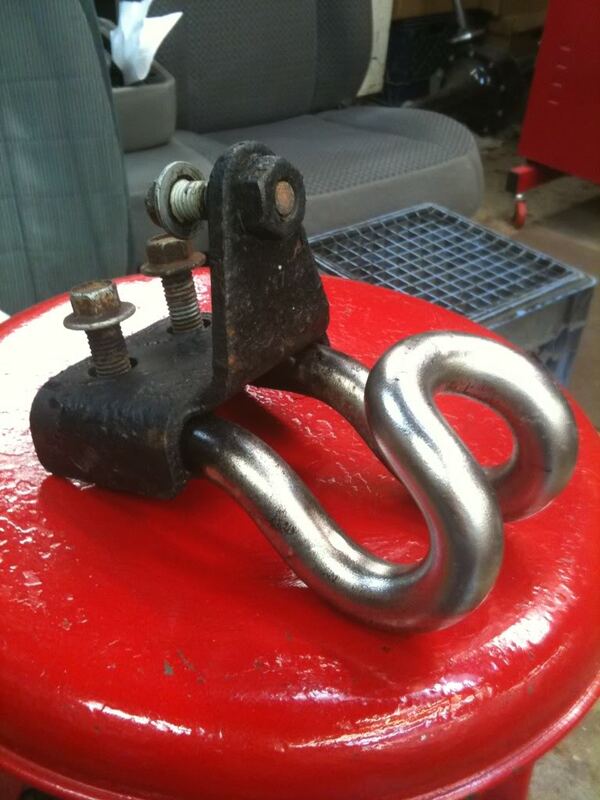 I will NOT go threw the basics of welding, grinding and metal working in this how-to. if you do not know them you shouldn't be attempting this mod at all. 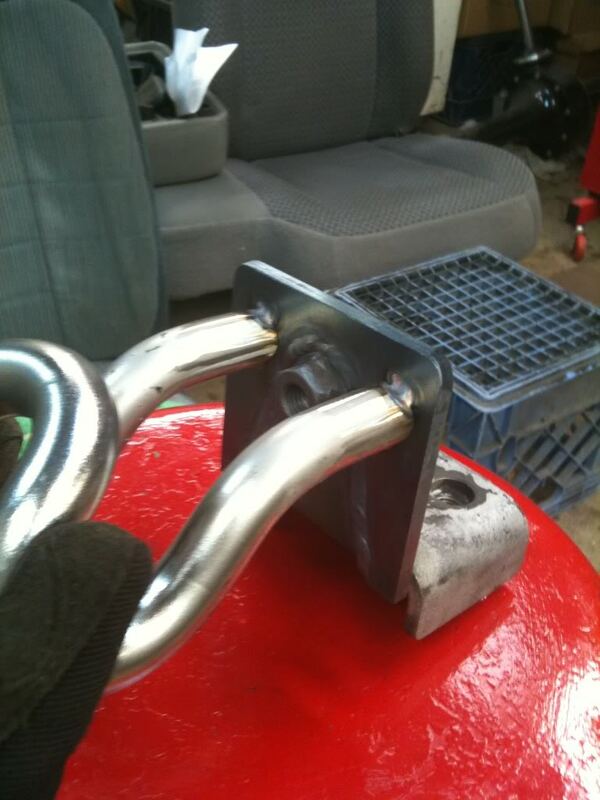 - You could cause bodily harm to yourself or someone else if you welded or did any step wrong while using the hooks as designed. - Credit for the original design goes to my Father Fred Stone for thinking up this design and making it work the first time. 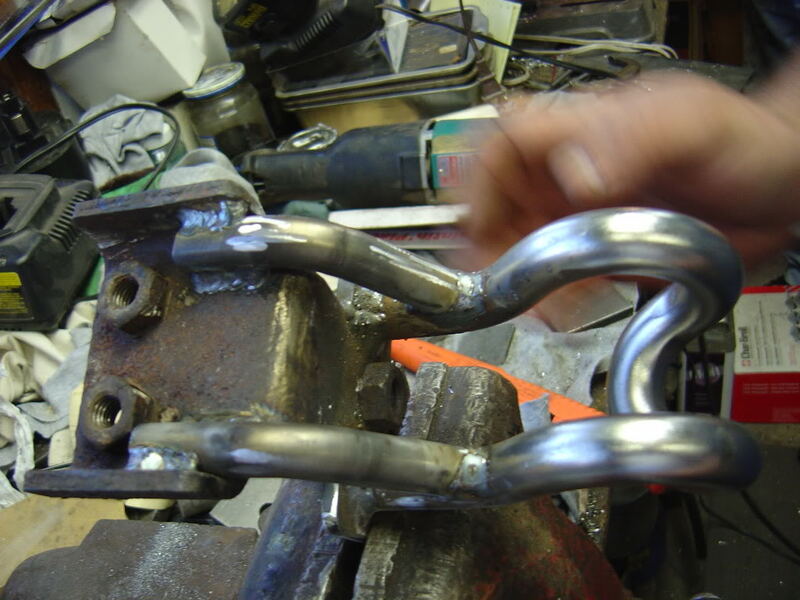 - Next secure the hook to a work surface in my case I was working on my hitch at the time so it worked nicely. 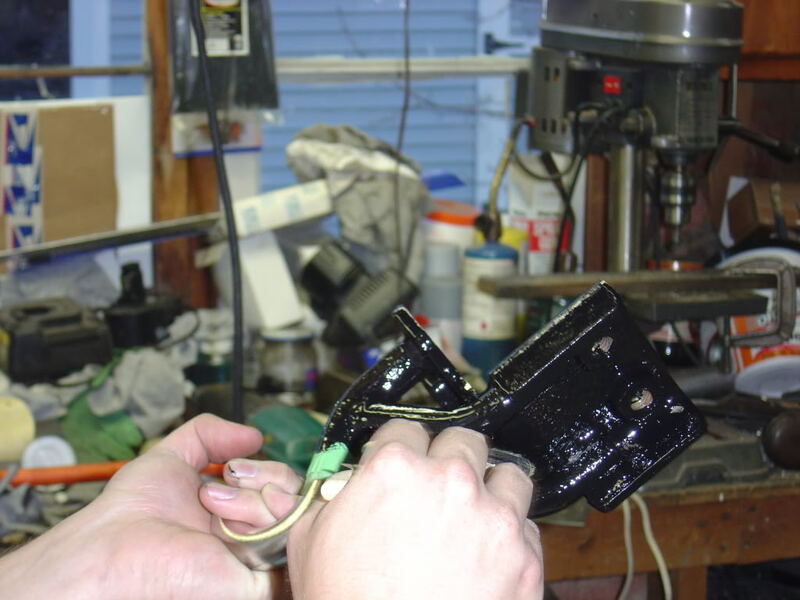 - Ok now you will cut off the factory welds, with a cut off wheel or plasma cutter. Either will work FYI for cut off wheels, get a lot of them. 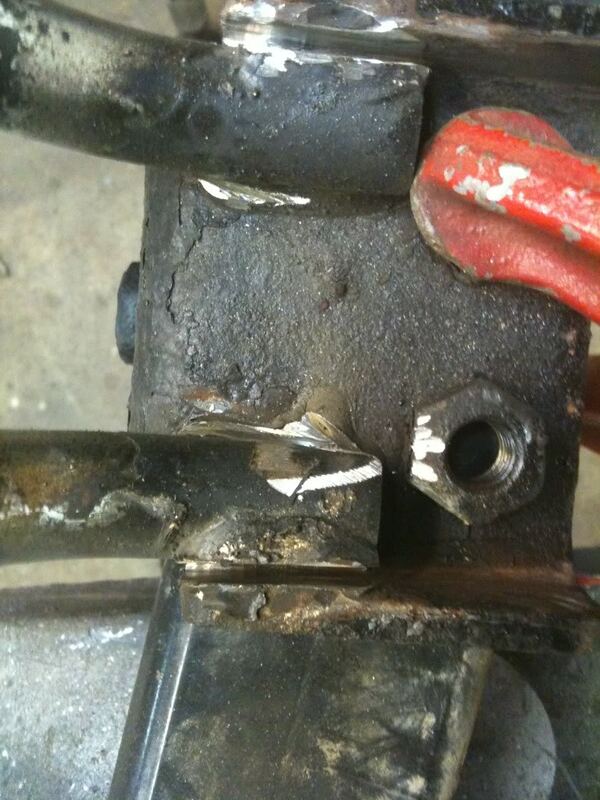 Fords welds are horribly strong and take forever to get thru. - Now you will need to make these pieces. first being the riser plate you will need 2. next is the supports, I match the same thickness of the level II bar. and bend it. you will need 4 of these. 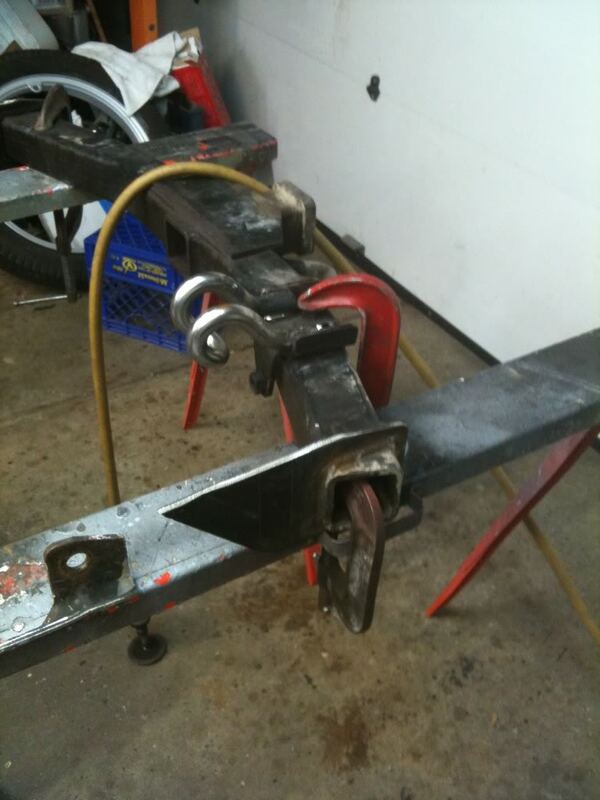 - Now bevel the hook bracket and the riser plate and weld up on both sides. 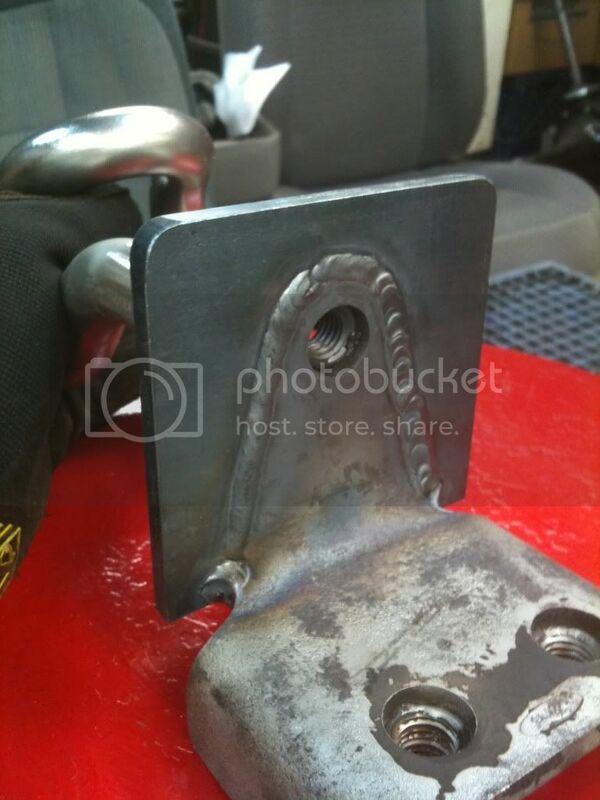 **** Important on the back side surface grind the weld flat. Front doesn't matter. 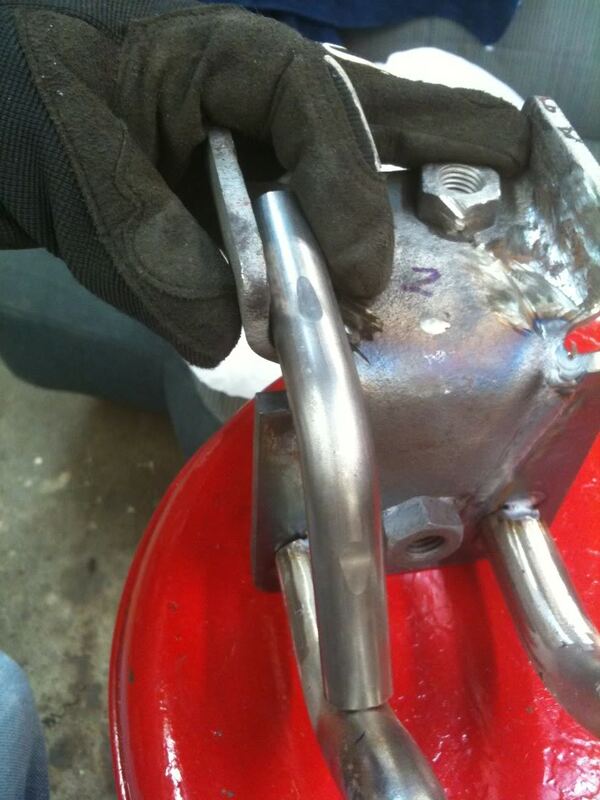 - Next you will need to weld on the supports like so. - And install. 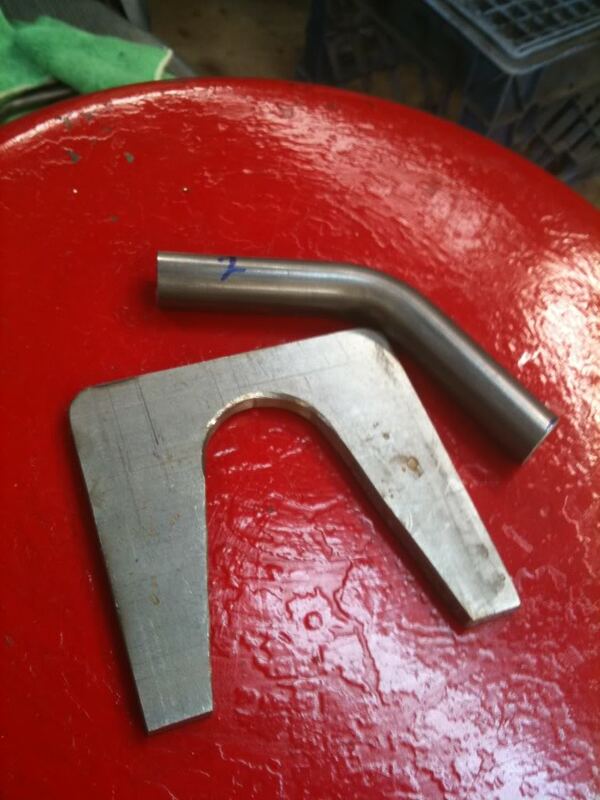 you will need to cut your valance for the supports. but not nearly as bad as hacking the valance if this was never done. Last edited by Redneckstone; 02-08-2010 at 10:40 PM. I can't believe it...about freakin' time you guys aren't all secretive about this! lol. nice i wondered how you did it. Umm...questions? lol deminsions on the riser plate? And some "specs" on the support bars? 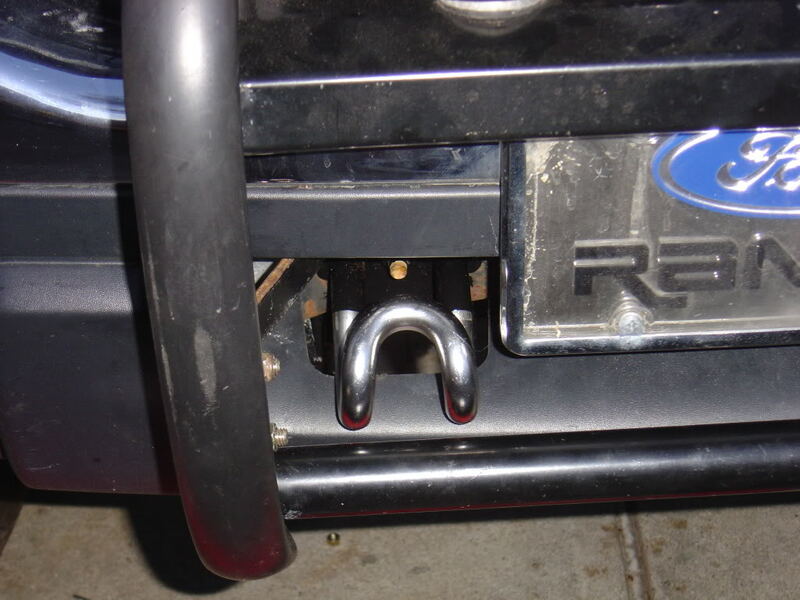 Quick Reply: How-To: 02-04 Level II Tow hook modification for Body Lift.